Ginrin is a Hokkaido cuisine restaurant in Sapporo Stella Place, a shopping mall at a station, facing the main street of Sapporo station with a fantastic view. 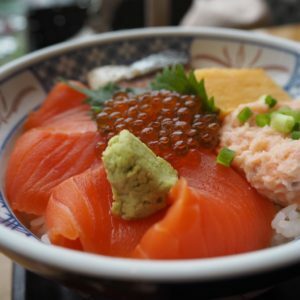 I had all-salmon rice bowl (Salmon Zanmai Donburi). It’s ¥1480 (inc. tax) with miso soup, takuan (Daikon radish pickles) and drinks. 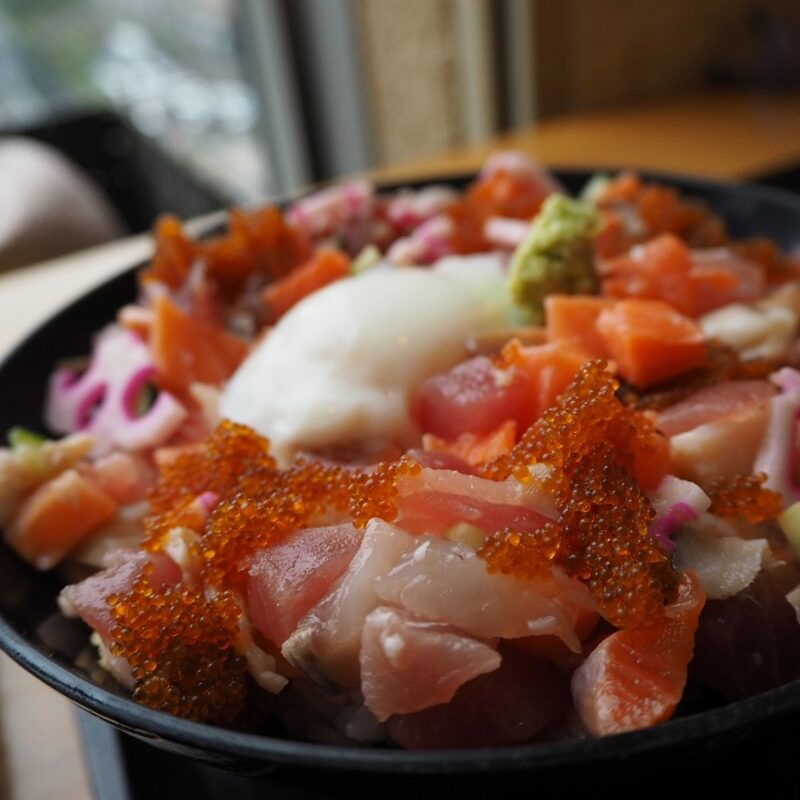 My husband’s meal was Hokkai Chirashi Donburi. It’s ¥1580 (inc. tax) with miso soup, takuan (Daikon radish pickles) and drinks.